Two Minute Dog Advice columnist Wendy Nan Rees offers tips for fun activities for you and your dog. If you're looking for a hobby you and your dog can share equally, you just might find one here. Do you have a hobby you do with your dog? I have found so many dog groups that offer fun things we can do with our dogs today. Not long ago, it was difficult to find fun things to do with your dog unless you were in the dog show world. However, with the Internet and almost every home in America owning a computer, it is so easy now to find and join a fun group with other people loving the same actives as you and your dog. Here are just a few fun ideas for you to look in to. It is often stated that the more you play with your dog, the more likely you both will stay together. Play also offers a triple threat as you are able to bond, train and mentally stimulate your pet. Not only that; it can help tucker out Fido and ensure a little happiness. Fido will be happy because he got to play and spend time with you, and you will be happy because Fido is ready for a rest and not antsy all night long. What I have also found to be true is that the more you can mentally and physically work with your dogs, the happier and healthier they are going to be. If you would like to join one of these groups, find one that is practicing at the training or activity level you and your dog are at, and then go for it. Whether these activities are traditionally for winter or summer, they're nearly all being adapted for year round fun. Keep your dog's size, health and capabilities in mind when choosing which activities are best suited for you both. Today, there is an activity called "bikejoring," also referred to as urban mushing, and many groups of people are enjoying this sport, although I personally have not tried this yet. This is where you ride a bike, and then Fido also pulls you along. I have to admit, I would love the "help me ride" idea, but I see groups of three to four having fun all the time. Another growing sport is called "canicross." This is where you and your dog are participating in a cross country course attached by the waist using a harness that has the ability to also absorb shocks so Fido isn't dragging you along the course. Mushing is another sport you can participate in with your dog. You do need to be near snow, but I also know in the summer months the dogs must stay fit so they have all year around clubs for you and your pet to train with. One sport that has been around for years and is now growing popular again is called "carting." This is where your dog pulls you in a very lightweight cart. In some cases you race others; in others it is a group of carters out for a day of pleasure carting. You can actually take carting classes at some dog training facilities. Agility is an exhilarating sport that is akin to running a doggie obstacle course. Competitors take turns running the course to try to score the best time. The winner is the dog who makes the fastest time. The wonderful sport of "Fly Disk" is also very popular. It's a bit like playing Frisbee with Fido. This is a sport that has kept on growing since the '70s. Today, they have contests all over the world, so you can learn and join in on many different levels. You and your dog can also participate in hunting and field trials. You do not have to kill to be involved in this sport, as today they can and do use a dummy that has the scent of a bird. You can teach your dog to go fetch or point. 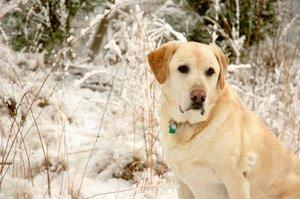 Many of the different breeds offer different styles of how they retrieve. As you can see, there are activities you can take part in with dogs of all sizes. Make sure both you and your dog are healthy enough to participate, and then get out there and have some fun!